1.3.-24.3.2019 Marko Lampisuo´s new video National Landscape at Forum Box´s Media Box, Helsinki. 25.11.-31.12.2017 The Cityscapes of Pori art exhibition is a part of the 70th anniversary of Pori Society of Artists. Marko Lampisuo is showing two short video works dedicated to his home town Pori. 30.6.-3.8.2017 Planet Solitude. A Group exhibition of eight artists at Pasinger Fabrik, Munich. Marko Lampisuo is showing video works and graphic prints. Some new photogravures will be released. 11.6.-31.8.2017 Marko Lampisuo is taking part on XXII Mänttä Art Festival. Exhibition is curated by Pirjetta Brander. The theme of this year is Summer! 22.2. – 5.3.2017 Summer in Finland… and Other Seasons. Solo exhibition at P-gallery, Pori. A video work and a documentation of a video work. 4.6. – 11.9.2016 Painting of the Mind – Maiseman nykykuva. Group exhibition in Mikkeli Art Museum. New video Summer in Finland… and Other Seasonswill be released. 8.4.2016 Check out Marko Lampisuo´s Viherpesu blog project. 17.10.-30.10.2015 Marko Lampisuo is hiking and shooting videos in Koli at the Kolin Ryynänen Artist Residency. 22.5.-14.6.2015 Luonnottomuus. Exhibition of Anne Tamminen & Marko Lampisuo at Porvoo Art Hall. Video installations and photo based works. 5.2.-28.2.2015 The End of Landscape at Showroom Berliini. Marko Lampisuo´s first solo exhibition in Berlin. 1.1.2015 In January Marko Lampisuo is working in Edinburgh at the Residency of Arts Promotion Centre Finland. 20.12.2014-31.1.2015 Tämän saa jakaa. The annual exhibition of Union of Finnish Art Associations in the Imatra Art Museum is curated by Marko Lampisuo. 4.12.2014-11.1.2015 On the Blue Planet. Exhibition at the Observatory and the water storage at Vartiovuori, Turku. 3.8.-29.8.2014 PIECES, the annual exhibition of the Pori Society of Artist in Gallery 8+, Warsaw, Poland. 5.7.-20.7.2014 Marko Lampisuo’s printmaking demonstrations at Gallery Angelo, Pori. 5.7.-30.7.2014 Summer Exhibition of Printmaking Studio Himmelblau at Gallery Angelo in Pori. 17.5.-7.9.2014 Recent prints and videos in golden frames at ALUE exhibition. Contemporary art from 18 artists from the Satakunta province. 2.4.-2.5.2014 New photogravure prints will be released at Galleria SEINÄ in Helsinki. 19.10.2013 Working on new intaglios combining 4-colour separations and photogravure technique in Printmaking Studio Himmelblau. 28.9.-6.10.2013 Art Fair Suomi – Finland’s Most Versatile Sales Exhibition of Contemporary Art. Cable Factory, Helsinki. 14.-21.9.2013 Future Ghosts chosen to competition programme at Split Film Festival, Croatia. 6.-22.7.2013 Gallery Himmelblau in Pori. Contemporary graphic art from 12 artists at temporary gallery space at Valtakatu 5. 9.6.-31.8.2013 Graphic works Unavoidability and Conclusion & Solution are participating in Mänttä Art Festival curated by Jyrki Siukonen. 8.3.2013 We Wanted to be bad again at Tampere Film Festival! 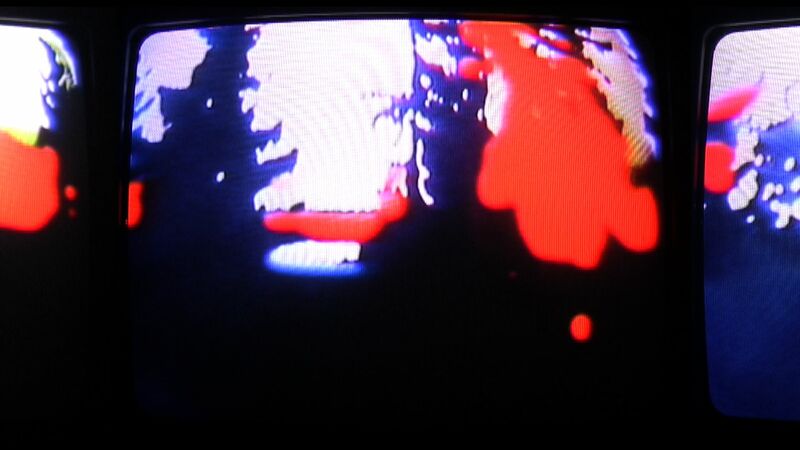 Av-Arkki presents: Crocodile tears – Glamour Through the Eyes of Media Art. 14.1.2013 In January Marko Lampisuo is working and resting in Sfakiotes Residency, Greece. 20.10.2012 hrs 14-16. Final Party at Forum Box. Meet the Artist and see the Future Ghosts. 28.9.2012 hrs 18-19. Artist talk at Pori Art Museum, Eteläranta, Pori, Finland. 21.9.2012 hrs 18-20. The End of Landscape Opening at Pori Art Museum, Eteläranta, Pori, Finland. 21.9.-.21.10.2012 The End of Landscape videoinstallation starts the Net Gain! Exhibition series in Pori Art Museum. 4.5.2012 Av-arkki present: Loose Candy – a series featuring musical media art. We wanted to be bad video takes part on the kick off party of Thank You for the Music exhibition in Kiasma. 27.4.-1.7.2012 Lampisuo is in ArtWiki.org. It is an open platform for all the artists who send their portfolios to the 7th Berlin Biennale by KW Institute. 23.4.2012 From April to May Marko Lampisuo is living and working 5 weeks in art residence of Arts Council of Satakunta in Berlin.